Virender Sehwag has revealed that MS Dhoni’s promotion in the batting order in the World Cup final was not Dhoni’s own decision, but was influenced by the legendary batsman Sachin Tendulkar who gave the suggestion to the Indian captain after getting back to the dressing room. Sachin and Sehwag had opened the innings for India in the World Cup final, but both got out cheaply after which there was a steady partnership between Gautam Gambhir and Virat Kohli for the third wicket and it was during this partnership that Sachin suggested Dhoni who should bat at 5 when the next wicket falls. Pakistani Cricketer Mustafa Bashir escaped wife battery jail time after he claimed he was joining a top cricket outfit, The Sunreports. 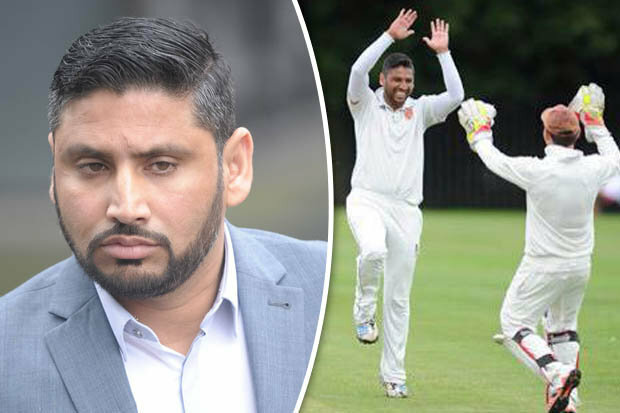 The player and his legal reps claimed the 34-year old had been offered a deal by cricket club Leicestershire just before his arrest. It was this claims that helped him escaped getting jailed but there are reports that the claims could have been false. The Sun report says the LeicestershireCounty Cricket Club did not ever hold talks with the player regarding a possible deal, not to talk of offering him a deal. There are claims that he once said: “If I hit you with this bat with my full power then you would be dead.” There are even claims that he eventually hit her when he felt she spent too much time on the phone, speaking with friends that he did not approve of. The Judge Richard Mansell QC also heard that he forced his wife to drink bleach when they had a row regarding him going on a cricket tour in the Netherlands. His wife Karim claimed she was fearful for her life but she eventually took the courage to approach the police for help. “I now feel strong enough to report this to the police. I did fear from my life, he told me he was going to kill me,” she said. Most players struggle to continue their life after they retire from the game but not Rob Key. The ex-cricketer seems to be adapting fine, and he says he relishes retirement. For most former players, concerns when they near retirement range from making money to pay bills, finding new roles in the society, and living with their legacies, if they have any. Rob Key took to sports commentary – like many sports people generally – after he retired from his 18-year career. Key said he does not regret leaving last April as his current role gives him the feel of the dressing room and all the perks without the hard work of playing. “I haven’t missed it at all actually. In fact, I wonder how I did it for so long! I’ve been very, very lucky that I’ve been able to go and work for Sky and at the minute it seems a better job than playing. It’s like cricket without the fielding! You get to watch cricket and you get that dressing room environment at Sky anyway,” he said. He added that he knew retirement was imminent so instead of delaying he decided to take the plunge. Since retiring, he has done several things that keep him happy like charity work and playing golf. 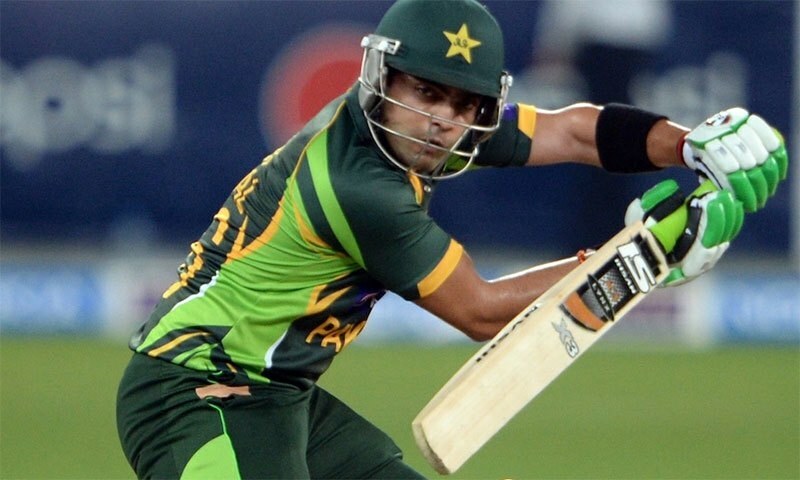 Umar Akmal reckons that keeping the body weight under control is a very tough challenge for him because his body is built in a unique way. It doesn’t matter what kind of food he takes, even if it’s a light food, he still ends up putting on a few kilos. Umar was in line for selection in the Pakistani squad for the limited-over games on the tour of Caribbean, but, the selectors couldn’t pick him because he was not able to prove himself fit enough. Pakistan come for a lot of criticism for their fielding in limited-over Cricket and one of the reasons why they can’t field as well as some of the other international teams is that the fitness standard of their players is poor. So, the management has now set a certain fitness benchmark for every player which they have to meet if they want to be selected. To check who meets that fitness benchmark and who doesn’t, there was a fitness test organized for the probable players by the team management which was supervised by the head coach himself. Umar failed to come through that test and thus missed out on selection. Just a few days after scoring a century on his Test debut, Keaton Jennings has been handed the captaincy position for the England Lions tour of Sri Lanka next year. The new captain will be joined in the four day squad by Haseeb Hameed, whom he had replaced in the Test side as he worked his way back to fitness, due to a broken finger he suffered from back in India. Ben Duckett is another name in the Lions party. 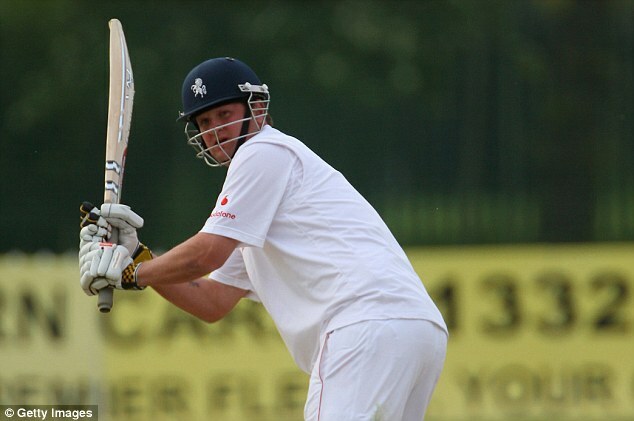 He had opened the batting alongside embattled Alastair Cook, captain of the England Test side. He would however be present only for the one-day fixtures. The Lions tour comes at a good time for the duo of Jennings and Hameed, especially in a period where England would lack Test Cricket as they host South Africa between December and July. It also provides an opportunity for Duckett to press his white-ball credential, considering that he was left out of the limited –overs squads to meet India next month following an impressive ODI debut in Bangladesh. Moises Henriques was the player of the eliminator for Hyderabad for his 30 odd runs and the wickets that he got, but, in spite of that knock, the jury is out for him. Hyderabad might have beaten Kolkata, but, there were a couple of things they did wrong in the game and the first of them was to let Yusuf Pathan bowl his first three overs rather too cheaply. Pathan was bowling with a new ball which was not turning and while Warner’s cautiousness against him could be justified as he was clearly trying to play through, with his wicket being far more precious than any other in the XI, why Henriques played the off spinner that way was bizarre. He should have hit him out of the bowling right away. Since, Kolkata had not played Shakib Al Hasan, Gautam Gambhir had to get the quota of the 5th bowler out of his part timers and rather than putting them in with two right handers at the crease in the middle overs, he gambled with Yusuf right away at the start. When the Baroda bowler got the first over away with only four on the board and then, Morne Morkel cleaned up Dhawan for Henriques to come in, Gambhir was supposed to go to another one of his strike bowlers for one more breakthrough. But, sensing Henriques’ inefficiency against spin having seen him in previous games, the skipper kept Yusuf on and he chipped in with two more overs with being hit for a boundary only once. Rohit Sharma is hitting the white Cricket ball cleaner than anybody else in the world at the moment. The right handed opener displayed his repertoire of shots yet again in Dhaka yesterday as he scored superb 80 runs for India against the hosts Bangladesh in the first game of the Asia Cup. It was a really smart knock by Rohit. He was patient early on when the going was tough on a grassy wicket, but, he launched himself on the opposition when the right time arrived and took the game apart. He also seemed to have picked his bowlers whom he wanted to attack. Against the likes of Mustafizur and Mortaza, he was willing to be within himself, but, as Taskin came into the attack for his second spell and offered a bit of room, he opened his shoulders and cashed on. Later on though, he went after Mustafizur and other bowlers too as the dew factor had come in and the ball had stopped fizzing around. Rohit could actually have got the second twenty 20 ton of his career, but, in the last 10-15 deliveries of the Indian innings, he could not get as much of strike as he should have and in the 20th over, when the strike eventually came to him, he scooped one in the air to be caught at deep wicket. However, he had almost put the game in India’s bag by that time.